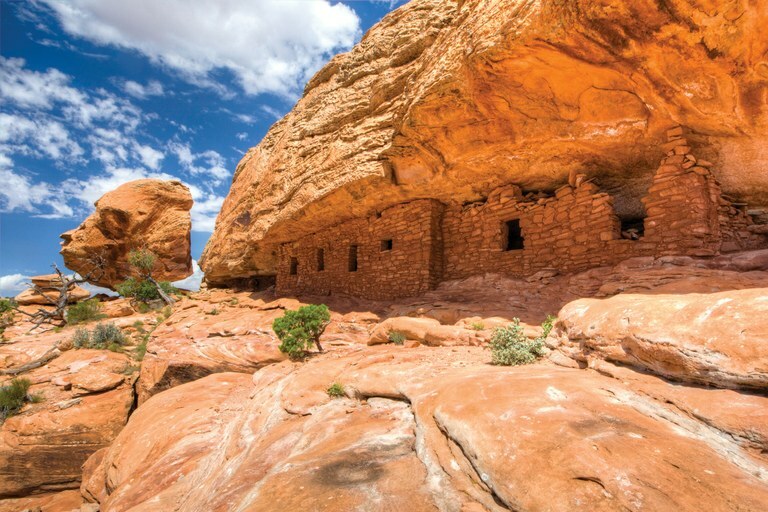 On the eve of the new year, President Barack Obama designated the Bears Ears National Monument — culminating an eight-decade-long struggle to preserve this ecologically diverse, archaeologically rich landscape in southeastern Utah, the ancestral homeland of several Southwestern tribes. The Dec. 28 decision is being heralded as a victory not only for the conservation community, but also for the five tribes that proposed the monument and will play a role in managing it. 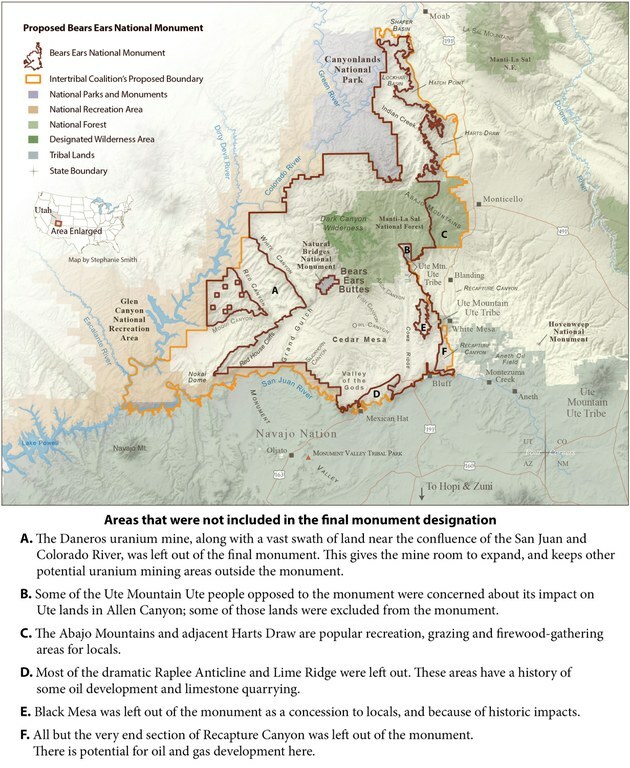 Yet even its most ardent opponents — mostly Utahns who regard Obama’s use of the Antiquities Act as federal overreach — got something in return: More than a half-million acres in the original proposal were excluded from the final boundaries. The area is home to tens of thousands of archaeological sites, mostly remnants of the ancestral Puebloan culture, who inhabited this landscape for at least 2,000 years. Many of them have suffered from illegal pothunting, vandalism and artifact collecting. Monument supporters hope that the designation will bring the resources needed to enforce existing laws, shore up regulations and educate the public about the importance of these cultural resources. In response to stiff resistance from local politicians and citizens, Obama pared down the original 1.9 million-acre Bears Ears proposal by 550,000 acres, cutting out the Abajo Mountains, most of the Raplee Anticline and Lime Ridge, and a swath of land near the confluence of the San Juan and Colorado rivers where uranium is being mined. The final boundaries are closer to those in the Public Lands Initiative bill that Utah Republican Rep. Rob Bishop tried and failed to get through Congress in 2016. That bill would have put essentially the same lands into two national conservation areas and a wilderness area. The monument’s proclamation preserves traditional Native American access to firewood, herbs and piñon nuts — a major concern for those Navajos and Utes who resisted the designation. Existing mineral rights and grazing rights will be preserved, private lands will not be impacted, and the feds will work to swap state lands within monument boundaries for parcels elsewhere. Though the 1996 Grand Staircase-Escalante designation effectively killed a proposed coal mine, no such developments are on the table at Bears Ears. The Cedar Mesa Citadel Ruins are one of thousands of archaeological sites in the 1.35 million acres of land now designated as Bears Ears National Monument that include rock art, cliff dwellings and ceremonial kivas. Hatch wants Congress to ditch the Antiquities Act altogether, or follow Wyoming’s example and exempt Utah from it. Since the law’s 1906 passage, however, all but three presidents have used it, protecting tens of millions of acres in extraordinary landscapes like Death Valley, the Grand Canyon and Zion. It’s hard to imagine any president willingly giving up so much power and legacy-building -potential.